Home recycling is easy, clean and efficient when you’ve chosen the right recycling bin. Ergonomic designs and stylish, durable finishes mean it’s easier to reduce waste and be kinder to the environment. Need to collect your garden waste? Tired of endless tins and papers cluttering up your home. 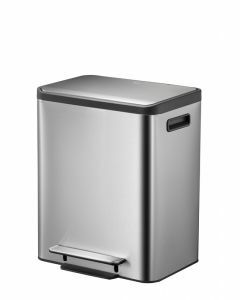 Our home recycling bins range has everything for your home from space saving segregated bins for your kitchen to large weather resistant outdoor bins. You can even create your own custom home recycling station by choosing a combination of recycling bins selected to fit perfectly into your available space.